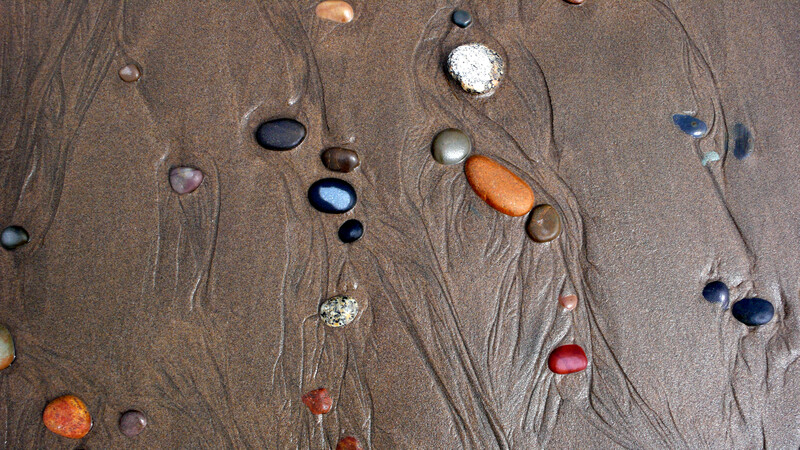 A scattering of colourful beach stones lies on a stretch of monochromatic sand. What happens to the colour from the rocks that break down to form the sand? is that you took the time to examine something closely. These stones were found scattered on Hirtle’s Beach, Nova Scotia, after a day of big waves.